This tragic Kentucky auto accident occurred Wednesday evening around 9:30 p.m. near the Bluegrass Army Depot, which is just east of Richmond. The two cars collided on Irvine Road, Ky. 52. Reports indicate that rain may have been a factor in this deadly crash. This is the first deadly car accident this year in Richmond. Kimberly Holt, age 50, died at the scene of the accident and Jane French, age 49, died at UK Hospital. Both victims were residents of Madison County, Kentucky. In cases of a fatality, the estate of the deceased can file a Kentucky Wrongful Death claim and seek monetary compensation for the lost life of their loved one. Comparative fault will usual be a consideration when dealing with fatalities. Other factors such as medical conditions and age will also factor into the legal damages calculations. More information on the legal rights and legal damages related to Kentucky fatalities can be found at the Ackerson Law Offices website, www.kyfirm.com. 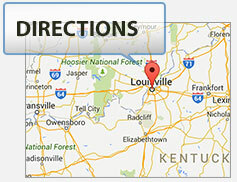 The Ackerson Law Offices are based in Louisville, Kentucky and handle matters throughout the Commonwealth of Kentucky.